Last month I was interviewed by novelist Nancy Christie as part of her “One on One” series. It was quite a long and fun interview, and she has turned it into a two-part series for the site! A JANE AUSTEN DAYDREAM was easily the most difficult book I have ever undertaken, because I had to be true to Jane. In other words, I wanted her to be alive on the pages, which means her own dialogue and spirit had to be part of the narrative. Then I had to decide what of her life I wanted to keep and what I wanted to use for the book. See, I wanted the plot to be influenced more by her own stories than her actual life (it is a daydream). After the plot was in place (with some very notable surprises and literary twists included), I then had to write a book where her voice would feel natural, but not too dated to scare off a contemporary reader. Yes, it was a slow process, with each sentence and chapter written and re-written numerous times. By the end, I felt like I had run a marathon (or at least what I assume that would feel like). But it was all very worth it. You can read the rest of the interview here. Part 2 of the interview will be on Nancy Christie’s site on January 15. Thanks Nancy! 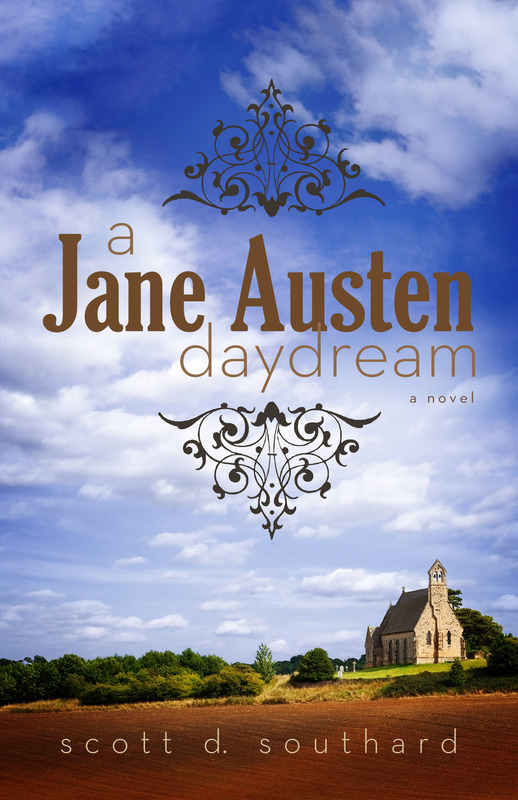 My latest novel, A Jane Austen Daydream, can be purchased in print ($13.46) or as an eBook for the outrageously low price of $3.99 for Kindle. You can find it on Amazon here (http://amzn.com/B00CH3HQUU). This entry was posted in Books and tagged A Jane Austen Daydream, Author Interview, Authors, Book, Creative Writing, Dickens, eBook, Fiction, Inspiration, Interview, Jane Austen, Literature, Nancy Christie, Novel, Novelists, reading, Twain, Vonnegut, Writing, Writing advice, writing tips by Scott D. Southard. Bookmark the permalink.